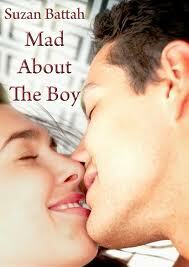 I have just finished my first book for this year’s Chick-lit plus blog tour and the first book is Mad About the Boy by Suzan Battah. I was a little worried when I first started reading this book as I felt the storyline started off weak and was very farfetched with Julia and Chris randomly meeting for the first time in a supermarket and falling for each other so quickly it would have been nice to see a gradual build up to the relationship but it felt like it was rushed and jumping in head first. When the characters start to develop a little more we become aware of a secret that each of the characters are hiding and particularly on Julia’s part this is causing problems with the progression of their relationship and it is when we learn this fact that the story starts to come into its own. We now have an element of suspense, a will they won’t they scenario. It was at this point I started to enjoy the book and it became a real page turner. The storyline has a rollercoaster of up and down emotional situations which our characters find their selves in each which feel very realistic situations which gives us more of a connection with the characters as we can feel their emotions as they are living through these situations. This book is full of pure emotion and red hot romance. The second half of this book was beautifully written with a serious undertone which was broken up by the light hearted humour from Julia’s gay friends. I would recommend this book if you can get past the weak start, once you get half way through and the story picks up you will soon forget the beginning of the book. I look forward to more work from this author to see how her next novel compares. Thanks for being a part of Suzan's tour!